Chris is Head of Surface Access at Heathrow, leading the team responsible for development of the surface access strategy, engagement on key strategic projects such as HS2, Crossrail and Smart Motorways as well as delivery of the sustainable transport programme for airport passengers and colleagues. 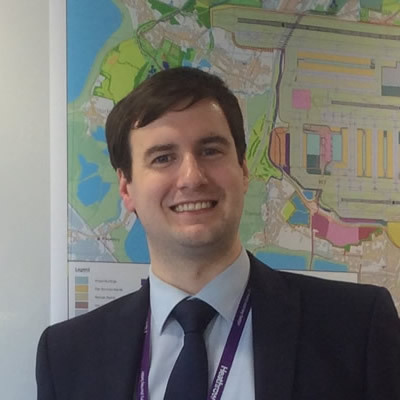 He originally joined Heathrow in January 2012 as Surface Access Strategy Manager to develop the Airport Surface Access Strategy and Master Plan for the current regulatory period as well as engaging in the long term planning process for the road and rail network in the UK. Most recently he played a key role in Heathrow’s submissions to the Airport Commission process. He joined the airport from a senior management position in transport planning consultancy where he was responsible for a range of development projects for private and public sector clients in London and across the UK.